paneer tikka recipe | recipe of paneer tikka on tawa | dry paneer tikka with detailed photo and video recipe. 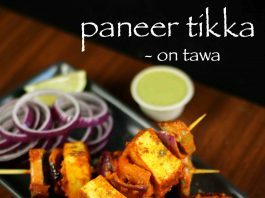 a popular paneer recipe prepared from marinating paneer chunks with spices and yogurt and grilled in a tandoor or tawa. it is an adapted recipe from the popular chicken tikka recipe for non meat eaters or paneer lovers. paneer tikka recipe | recipe of paneer tikka on tawa | dry paneer tikka with step by step by step photo and video recipe. a popular veg starers or appetizer recipe which is heavily popular in india and also other south east asian countries. basically this in dry version of paneer tikka which is served as party starters. however the gravy version of paneer masala tikka is also hugely popular and is served with roti and chapathi’s. i have already shared the gravy version of paneer tikka and i wanted to share the dry version in more economical way i.e on tawa. 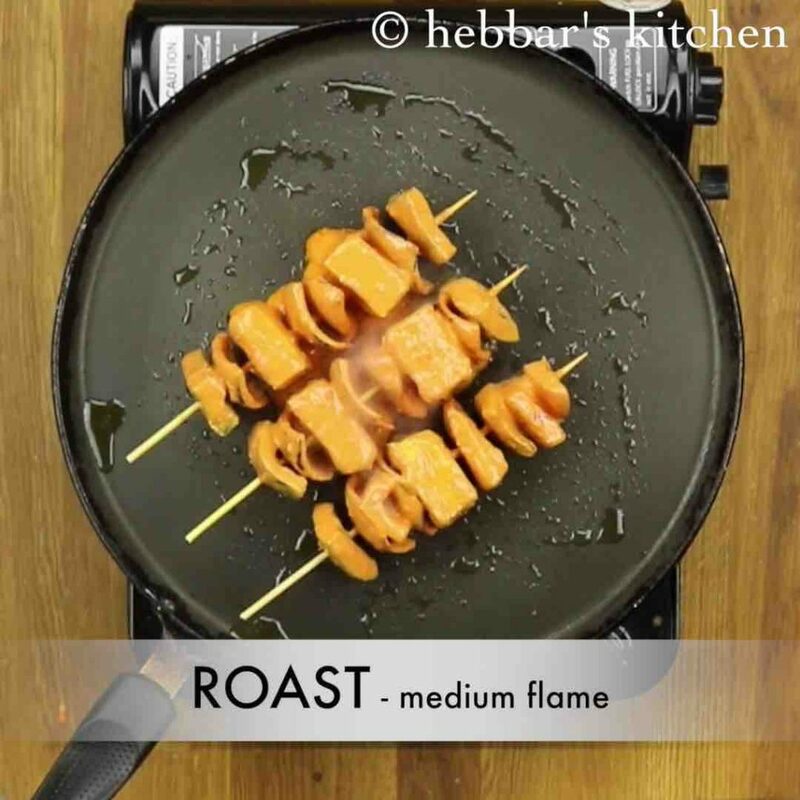 certainly it cannot match the moist result of paneer tikka cooked in a clay oven or tandoor. but this recipe is for those who want to fulfil the crave for tikka’s in most economical way in their own kitchen. 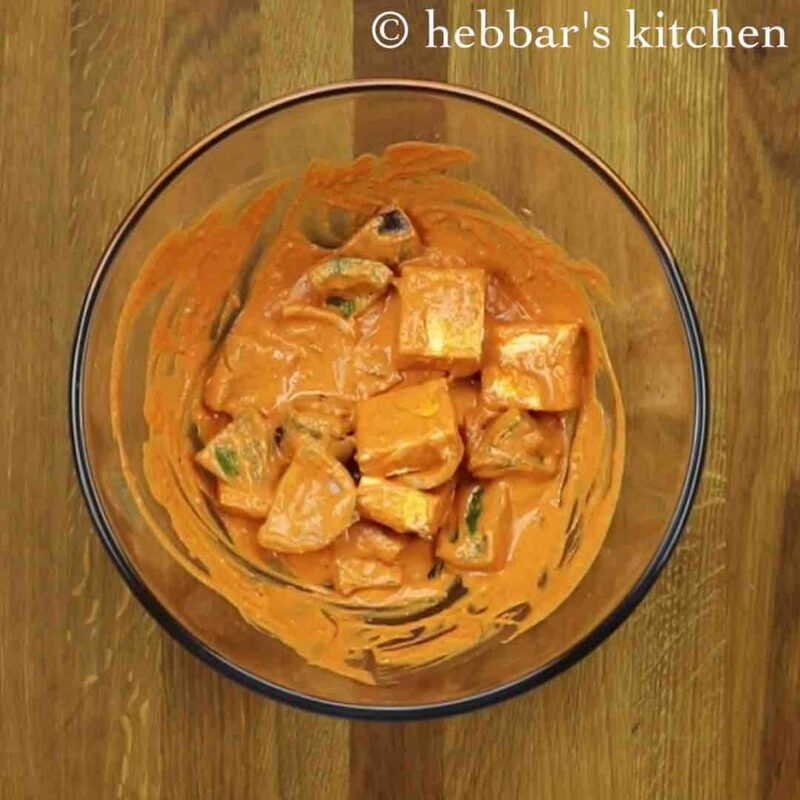 being a huge fan of paneer recipes and tikka recipes, i prepare this way quite frequently. i even tried preparing the dry paneer tikka in normal baking oven. 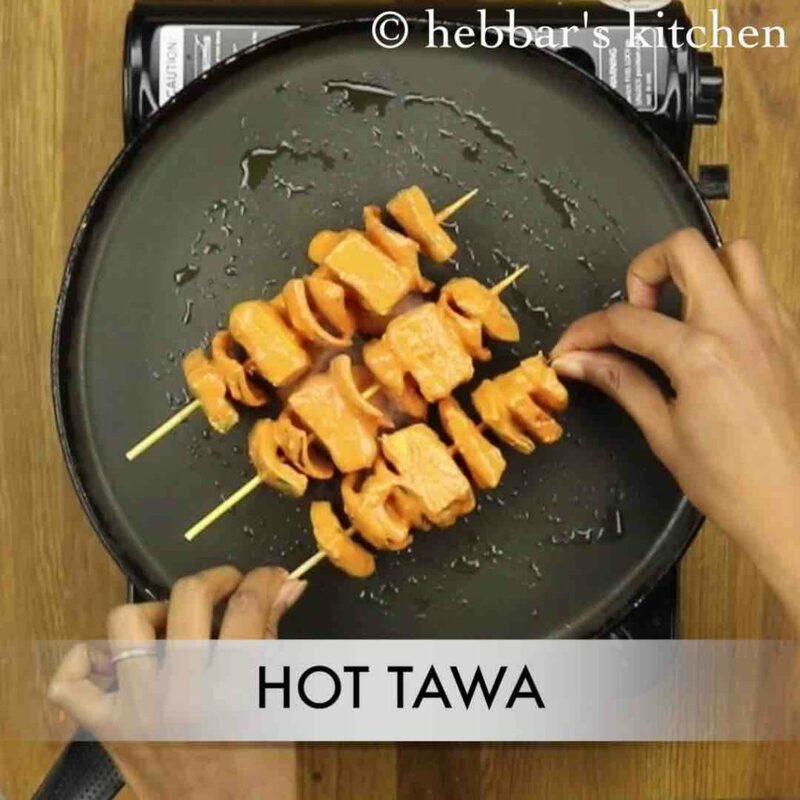 however i always fall back to my tawa because of smoky flavour it has to offer. 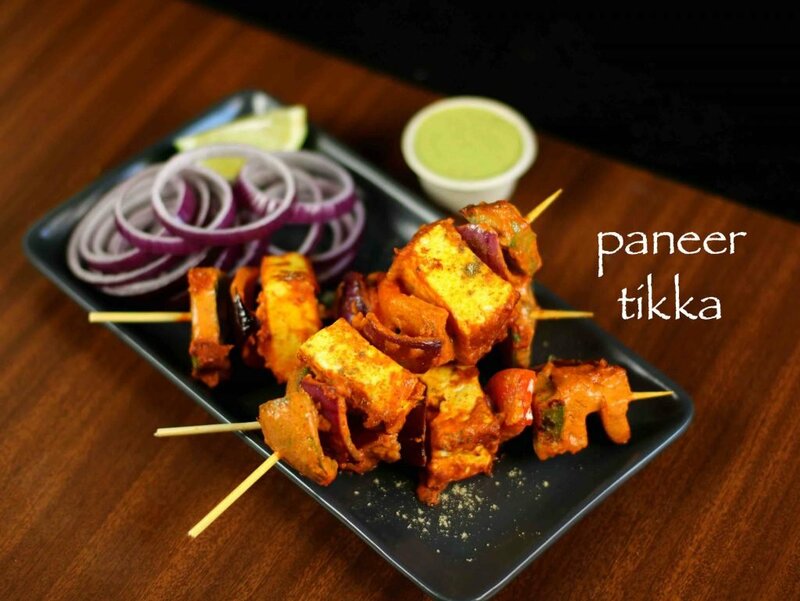 furthermore, some important tips and recommendations for a perfect dry paneer tikka recipe. firstly, i have used homemade paneer chunks for this recipe and i made sure to prepare it on harder side. this because the paneer may loose it shape during the marination and grilling. alternatively you can also use store bought paneer and ask for slightly harder paneer from your grocer. 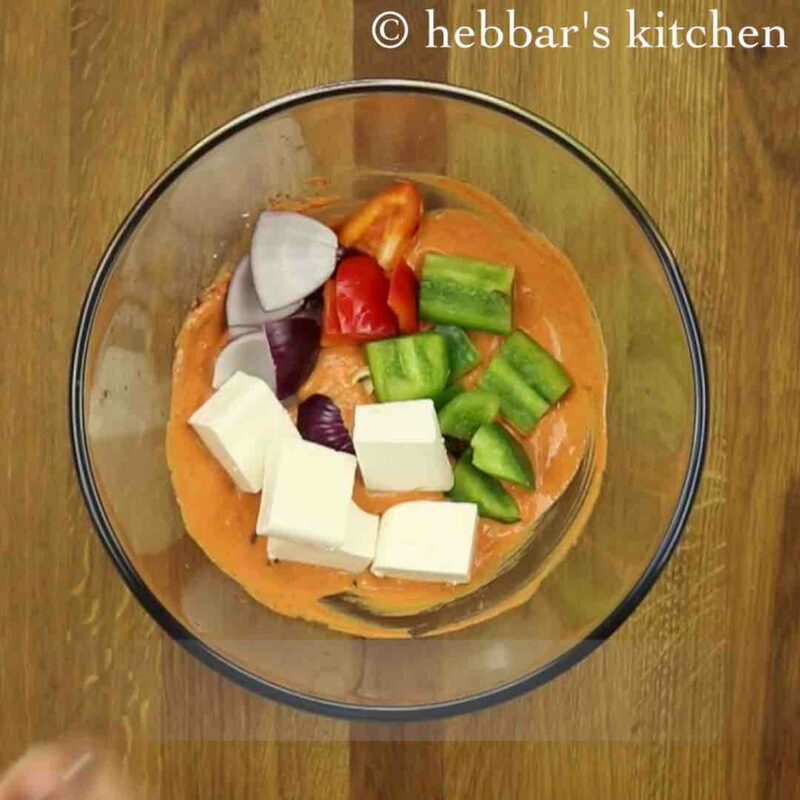 in addition, i have added besan to the curd and spice mix so that gravy becomes thicker and sticky and easily sticks to veggies and paneer cubes. 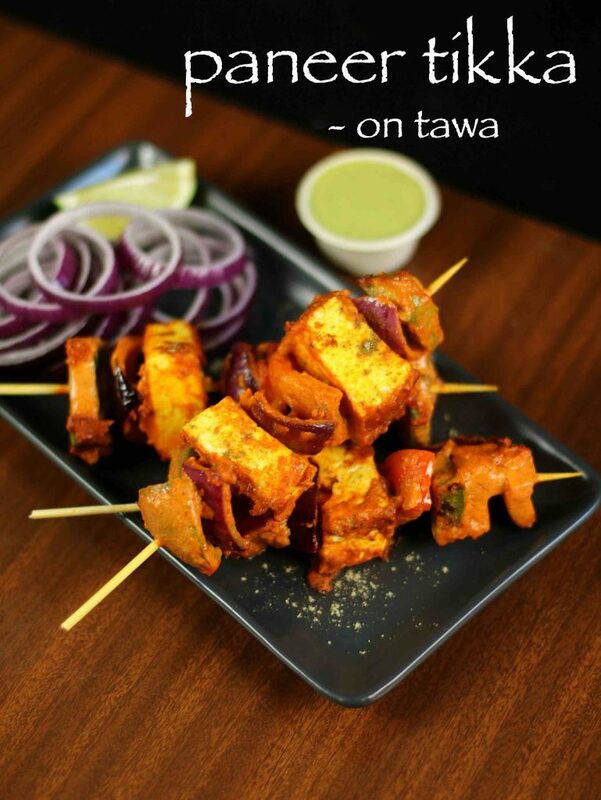 lastly, do not overload the veggies and paneer to skewers and keep it 2-3 paneer chunks in each skewer. 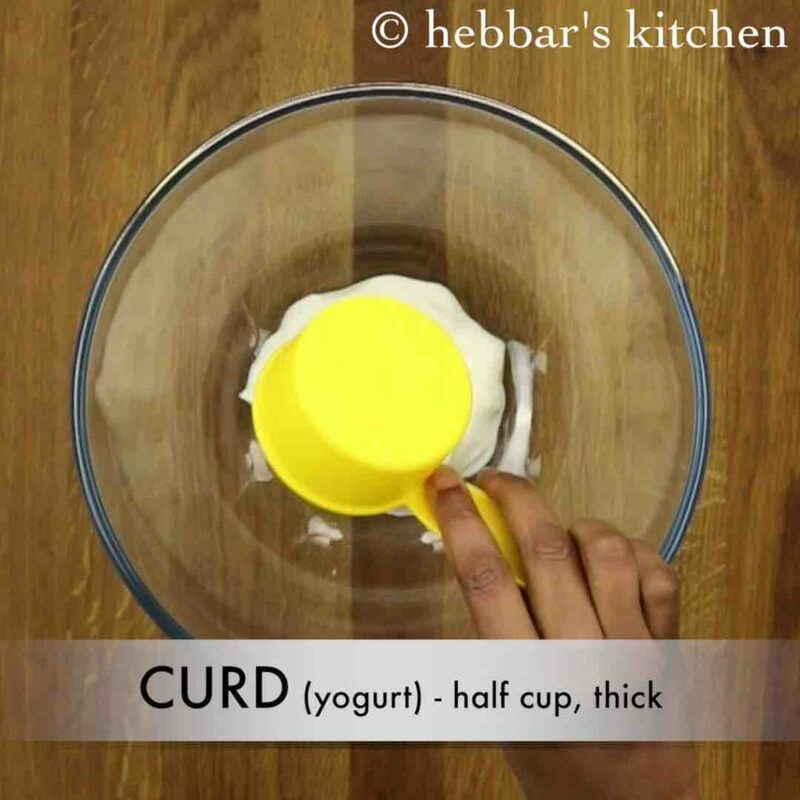 firstly, take ½ cup thick curd / yogurt. further add in all the spices along with salt. mix till all the spices are combined well with curd. 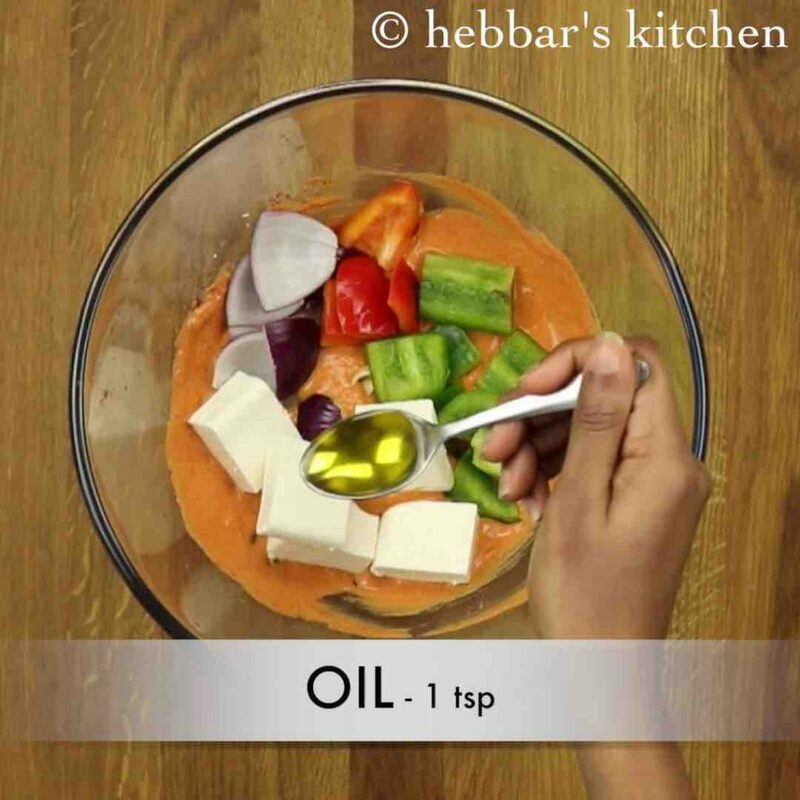 now add ½ onion petals, ½ cubed capsicum (red & green) and 5 cubes paneer. also add 1 tsp of oil. 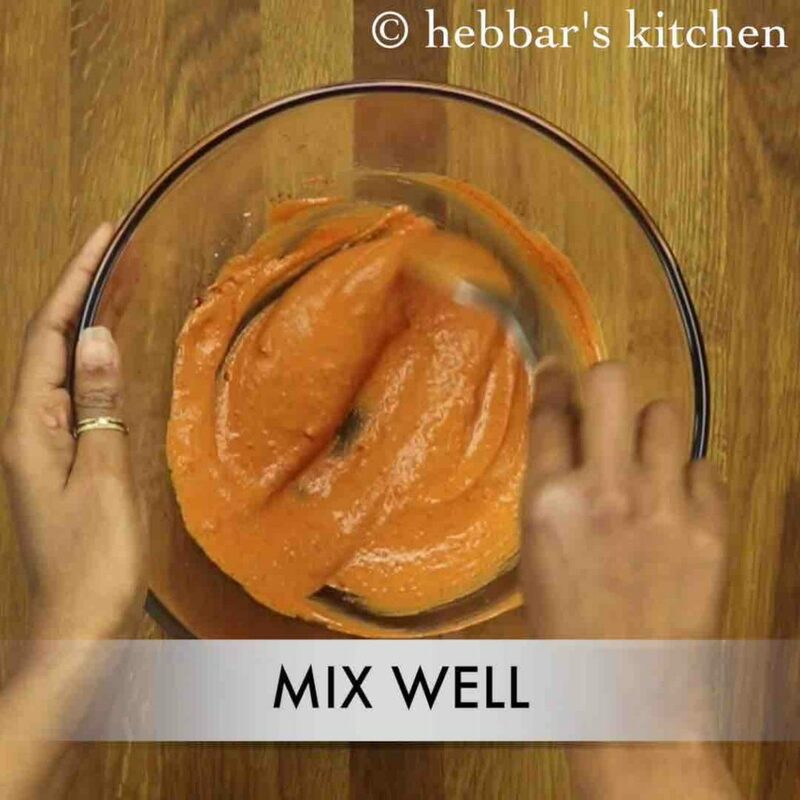 mix gently till all the vegetables are coated well. furthermore, to marinate, cover and refrigerate for 30 minutes. after marination, insert the marinated paneer, capsicum and onions into wooden skewers. 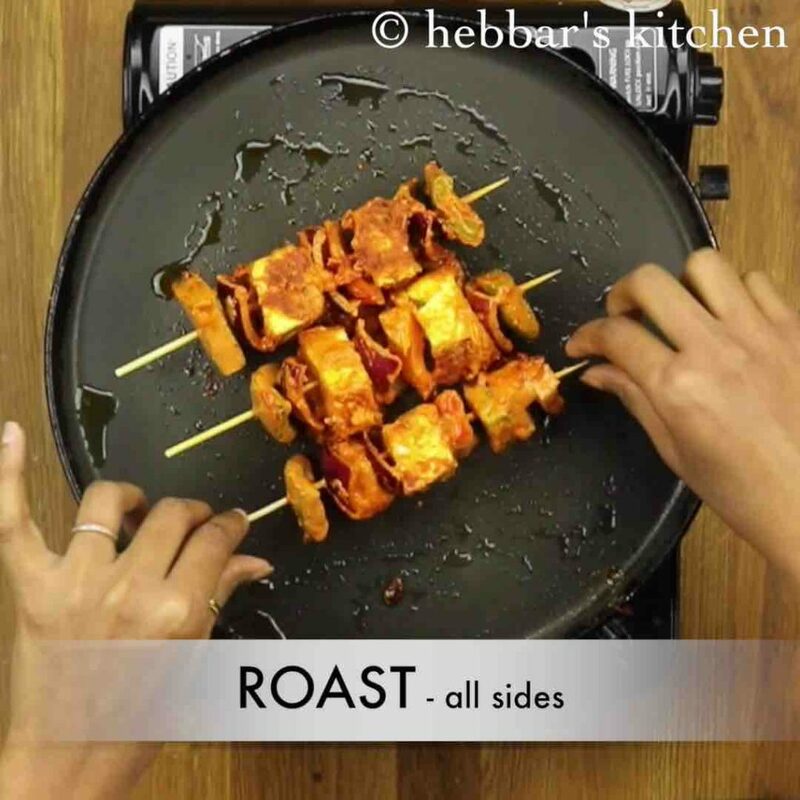 further, roast it on a hot tawa or grill in oven or tandoor. 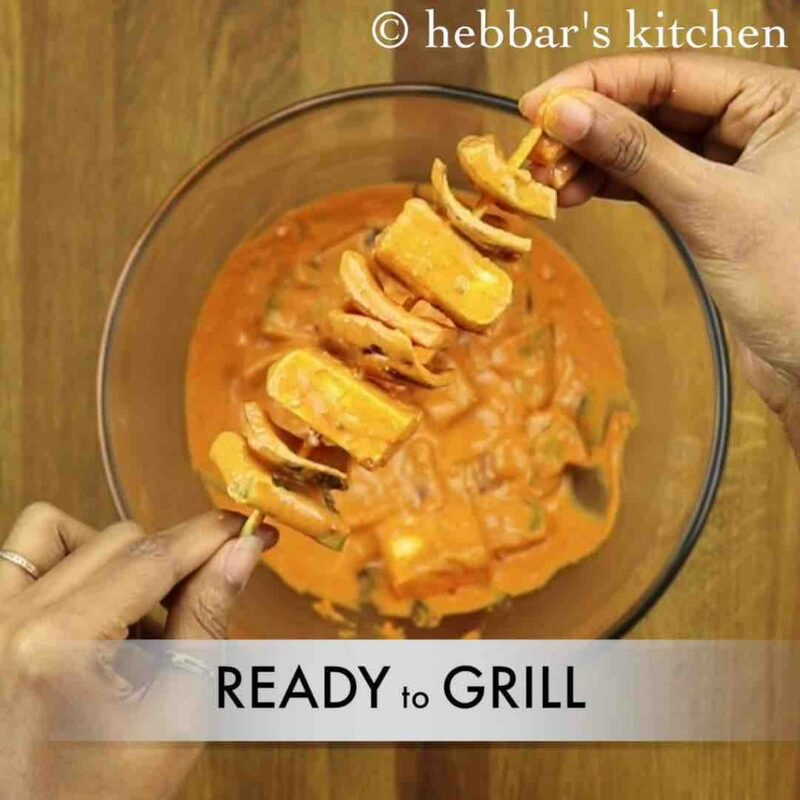 finally, sprinkle some chaat masala and serve paneer tikka immediately. firstly, in a large bowl take ½ cup thick curd / yogurt. 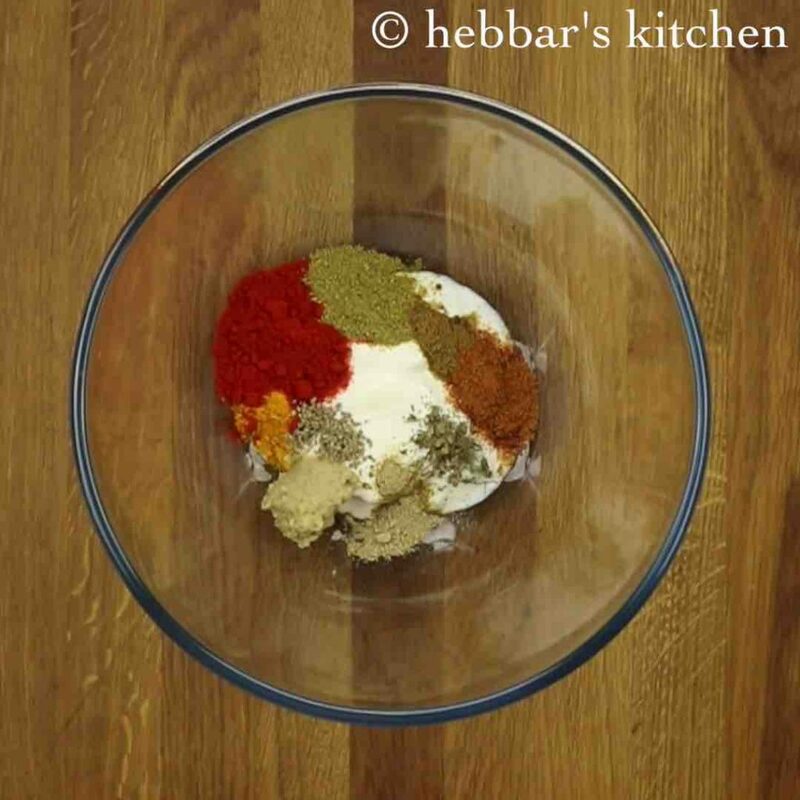 further add in ½ tsp turmeric, 1 tsp chilli powder, ½ tsp coriander powder, ¼ tsp cumin powder, ½ tsp garam masala, ½ tsp kasuri methi, ½ tsp chaat masala, 1 tsp ginger – garlic paste and ¼ tsp ajwain. 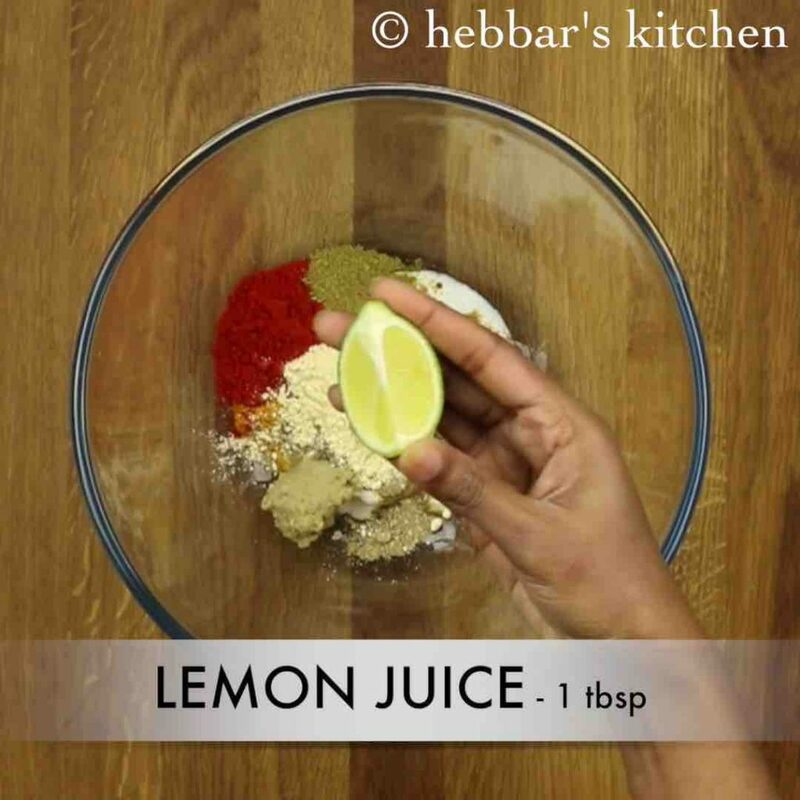 furthermore add 2 tsp of roasted besan, 1 tbsp lemon juice and salt. mix gently to coat vegetables well. 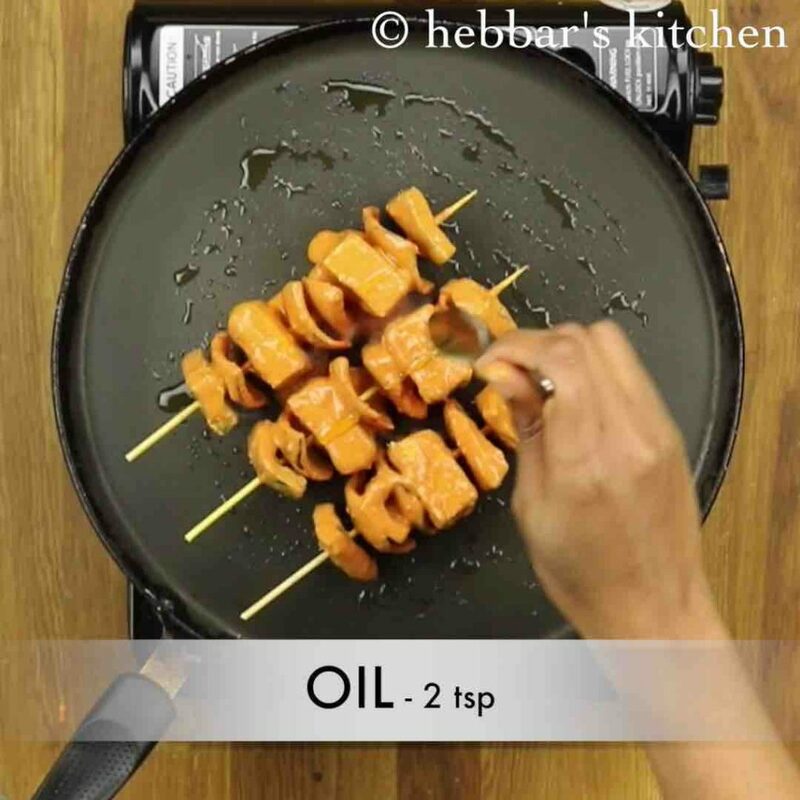 also spread a tsp of oil over the tikka. roast on medium flame and keep rotating in between. roast all sides, making sure it doesn’t burnt. 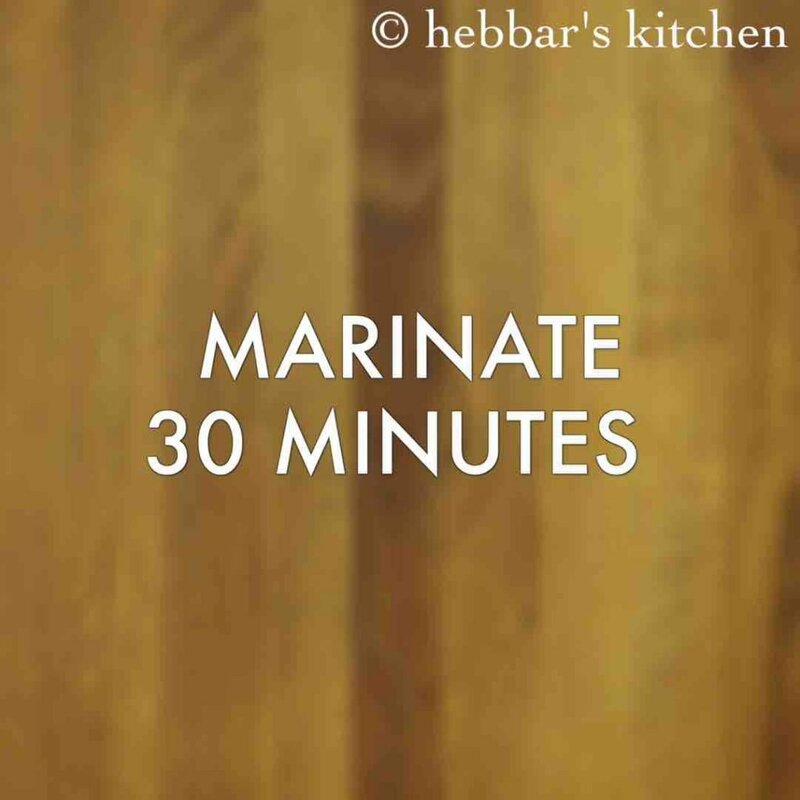 firstly, make sure to marinate at-least 30 minutes or extend till overnight, for perfect restaurant style tikka taste. also, adding a drop of red food colour, gives bright red colour. additionally, add vegetables of your choice like broccoli, baby corn, mushroom or potato. finally, serve panner tikka immediately, else it doesn’t taste great. I tried it and it was awesome. Thank you.